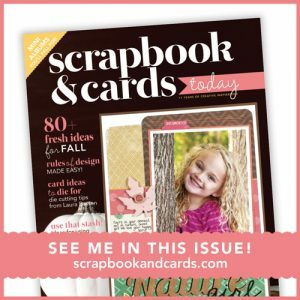 Such big news today! 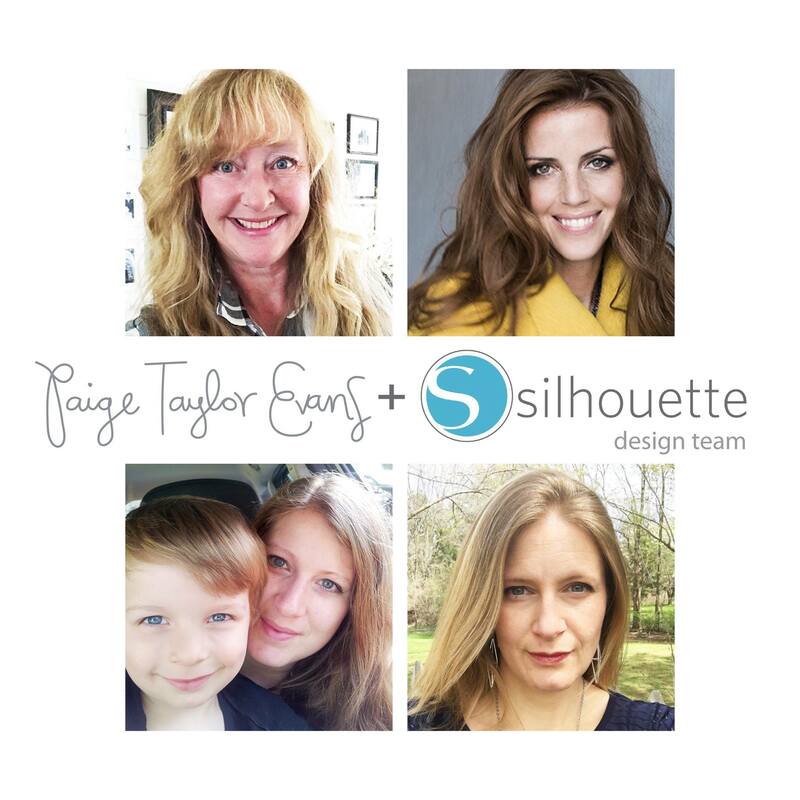 Paige Taylor Evans has opened up her cut file shop at Silhouette! 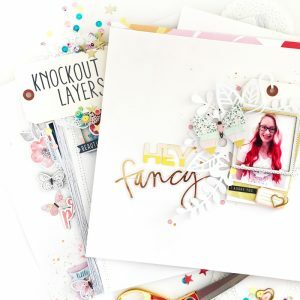 The bonus is I get to be on her design team making layouts and projects from her gorgeous cut files! YAY! I have my first one to share today. 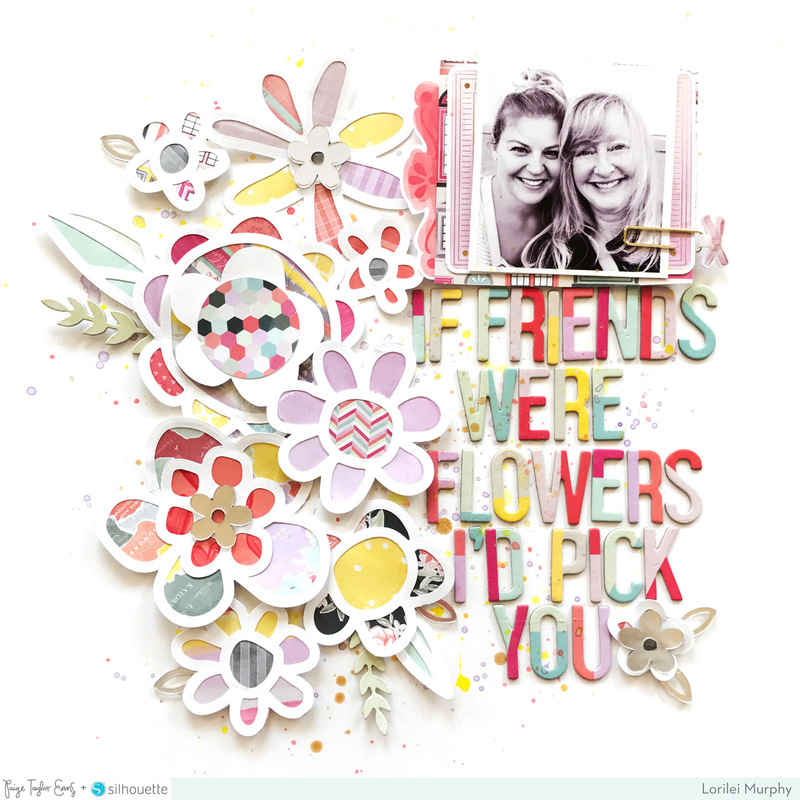 I used the Flower Cluster cut file and Take Me Away by Paige Evans & Pink Paislee. 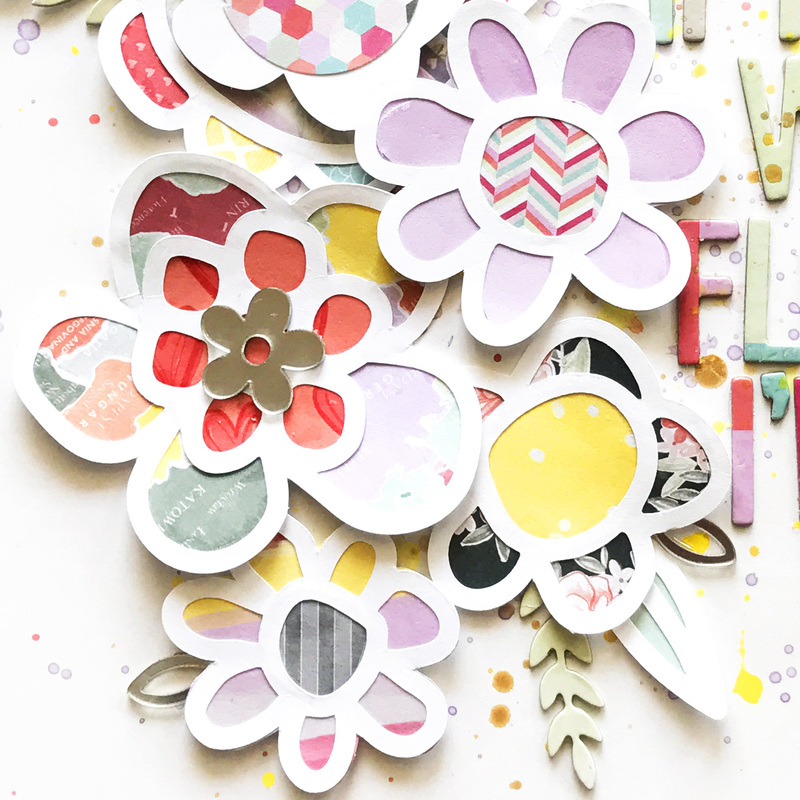 I cut the file from white cardstock and backed each flower with multiple papers from the Take Me Away 6×6 Paper Pad. I chose to keep a couple of the flowers in a solid color so there would be contrast from the multi colored flowers! 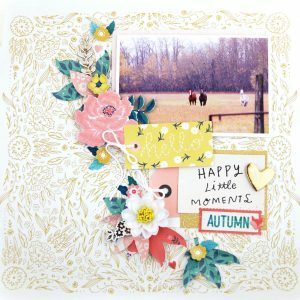 I finished off the page with a big title using the Take Me Away Thickers and layered some frames and a paper beneath the photo and clipped it together with an adorable clip! The mirrored embellishments add just the right amount of sparkle! The photo is of myself and my cousin. 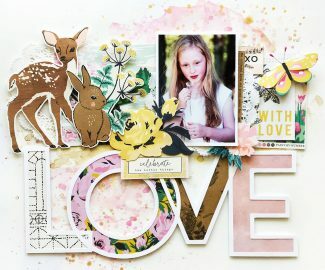 She is “much” younger than me and we are great friends, the flowers suited her playful personality! Hard to believe I get to work with these talented girls!! Thanks so much Paige! Hi Mom! 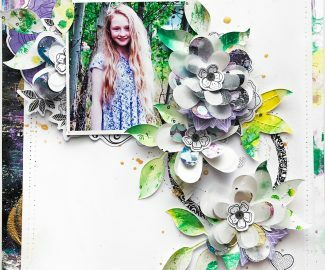 I love this layout, with all the pretty flower cut outs! I also love the mirrored flowers you added!